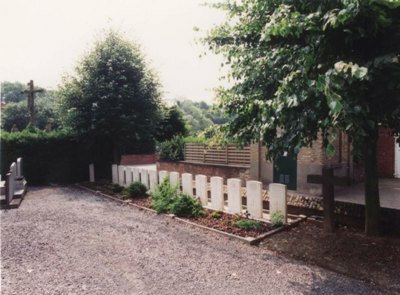 Boezinge Churchyard contains a small plot of 15 Commonwealth burials of the Second World War, one of which is unidentified. There is also one burial of the First World War in the same plot. The British Expeditionary Force was involved in the later stages of the defence of Belgium following the German invasion in May 1940 and suffered many casualties in covering the withdrawal to Dunkirk.